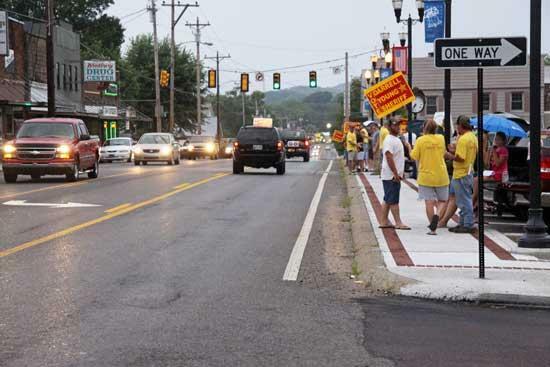 Supporters of Darrell Young for Sheriff lined Main Street in front of the Cannon County Courthouse with a rally to drum up support Friday night. Early voting began Friday and continues through July 31. Election Day is Aug. 5.